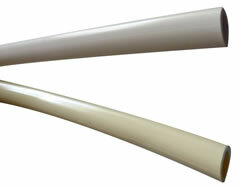 Casual furniture OEMs and refinishers worldwide have used our vinyl strap since 1986. 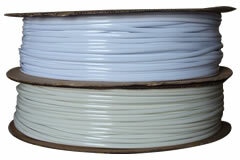 Oval Cord is available in the following colors: White and Off White in 1000' rolls. Our vinyl, extruded for outdoor use, is commercial quality 100% virgin vinyl strap with ultra violet inhibitors manufactured into the product.